With more than 140 million copies in print and serving as the principal proselytizing tool of one of the world's fastest-growing faiths, the Book of Mormon is undoubtedly one of the most influential religious texts produced in the Western world. This compact volume offers the only concise, accessible introduction to this extraordinary work. 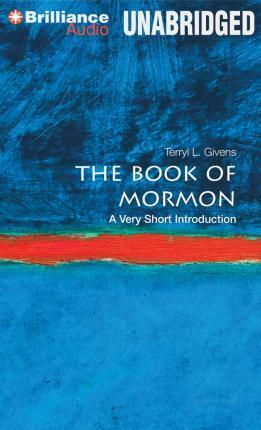 Givens examines the Book of Mormon primarily in terms of the claims that its narrators make for its historical genesis, its purpose as a sacred text, and its meaning for its audiences. The author traces five governing themes -- revelation, Christ, Zion, scripture, and covenant -- and analyzes the Book's central doctrines and teachings. Some of these resonate with familiar nineteenth-century religious preoccupations; others consist of radical and unexpected takes on topics from the Fall of Man to Christ's mortal ministries and the meaning of atonement. This introduction surveys the contested origins and production of a work held by millions to be scripture and reviews the scholarly debates that address questions of the record's historicity.